Stop by our Bend dealership today and get started on obtaining approved Toyota financial! Welcome to Kendall Toyota of Bend, your Oregon Toyota dealership! We are a proud member of the Kendall Auto Group family which was established over 80 years ago in the beautiful Pacific Northwest. Since 1937 we have been selling and servicing cars while providing our customers with unrivaled care. We maintain our family-owned and operated values, which include selling high-quality vehicles with exceptional customer service and continuing outreach within the communities in which we operate. We treat our neighbors and customers like part of our extended family and we can’t wait to welcome you home to Kendall Toyota of Bend. Take a tour of our showroom today and meet our team of friendly and knowledgeable professionals. We are conveniently located at 61430 South Highway 97 in Bend, Oregon 97702, just a short drive away from the communities of Redmond, Prineville, Madras, Springville, and La Pine. While you’re here saying hello, be sure to enjoy your visit and test drive the new Toyota Camry, Toyota RAV4, Toyota Tacoma, and the Highlander Hybrid. You’ll love the longevity of the Toyota Camry, the fun, hip style of the Toyota RAV4, and the rugged build of the Toyota Tacoma. With a wide selection of cars, trucks, SUVs, and vans to choose from here at Kendall Toyota of Bend, we have something to satisfy every vehicle need and desire. We welcome all students, current and former military, and commercial providers and work with all types of credit. So, stop waiting and start driving to Kendall Toyota of Bend! Kendall Toyota of Bend understands that not everyone is in the market for a new Toyota car. That’s why you will not only find new Toyota cars for sale at our used car dealership, but a wide variety of used cars as well. Our large inventory of Toyota used cars provides our customers looking to make an automotive purchase with many options. Furthermore, we have an inventory of Certified Pre-Owned Toyota cars in our selection of used cars. To ensure top quality, our Certified vehicles have gone through several tests and multiple-point inspections. Shop our used car inventory, then call or contact us online if you have any questions. Like any good family, we’ll be here for you long after you drive away. Visit your Bend Toyota dealer any time for all your maintenance and repair needs and we’ll take excellent care of you in our Toyota service center. Looking for parts and accessories? Look no further than our Toyota parts center. Whatever you want, we’ve got it, because going the extra mile for our customers is what we do here. 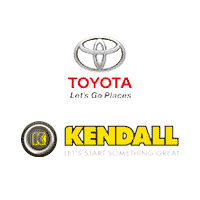 Kendall Toyota of Bend is not just another dealership. We are honored to call Bend, Oregon and the surrounding areas our home and feel compelled to give back to this wonderful community. So that’s exactly what we do through our Kendall Cares program. It’s our way of helping make this an even better, safer, healthier place to live for everyone. At Kendall Toyota of Bend, caring isn’t just a concept–it’s a way of life. Welcome home to Kendall, welcome home to the heart of a great family. We hope to see you soon.